On the forest floor, green leaves begin to change color as summer ends. Autumn is nearly here. Mornings are chilly and dew-dripping. Breezes freshen and the air feels drier, seems more transparent. 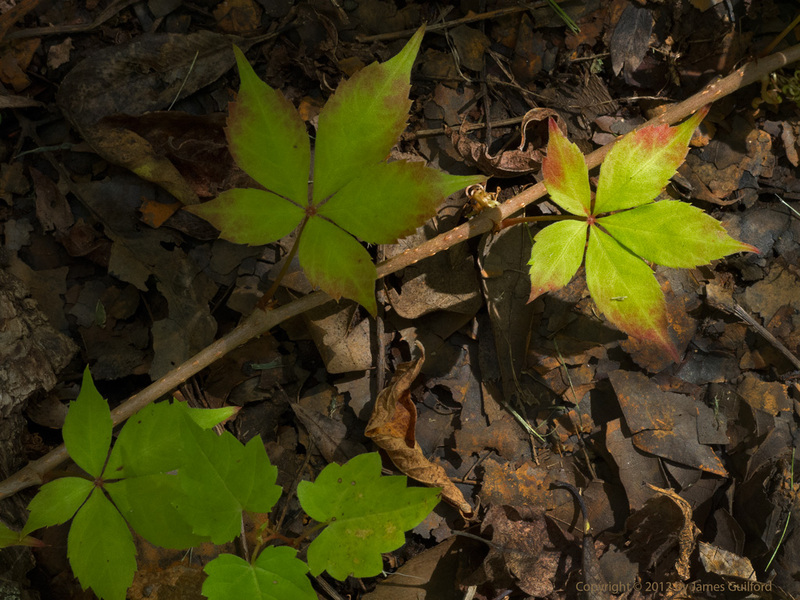 The earliest touches of fall color are showing in the trees and even on the forest floor. Nights are noticeably longer. Autumn is nearly here and there are signs all around.